Stay at home mom, working mom, work from home mom, momtrepreneur.. if mom is in the name, chances are you don’t get much “me time”. I know whenever I get a few minutes to relax and have some time to myself I try to make the most of it. Well sometimes instead of really relaxing I start playing on my phone, responding to emails, putting away laundry. Moms – this is not relaxing. At least once a week we need to set aside time to actually relax. We deserve it. We need it, or we might just go insane. Also, moms work hard enough to deserve a special treat every now and then – make sure you check out the giveaway and enter to win a special treat below! So put down the work, forget about the mess, and figure out how to work some mommy “me time” into your busy schedule. I think the best way to really relax is to unplug from the world – aka put my phone somewhere out of reach. Generally I take a nice long bubble bath. Something I don’t have the time to do every night so it’s a special treat. I do allow myself the iPad – but not to check emails, only to watch some Netflix. Right now I’m going through One Tree Hill and loving it all over again. 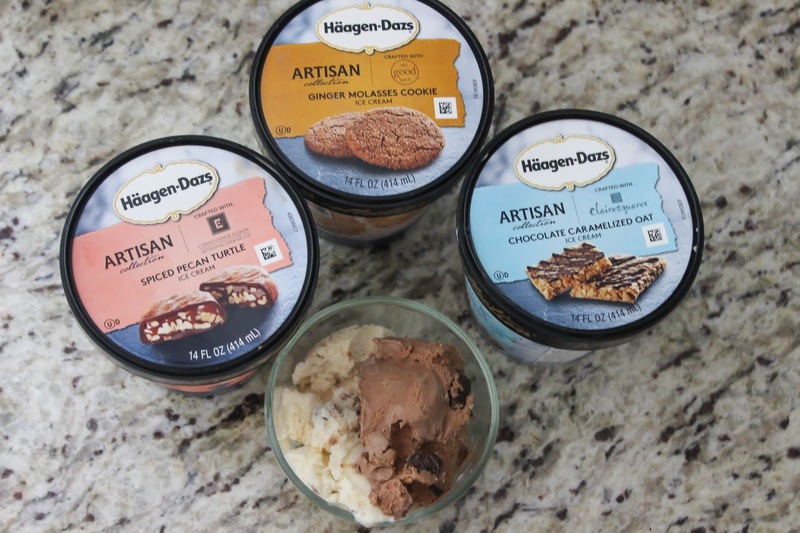 One of my favorite indulgences that I only have special occasions I pull out for my “me time”: Nestlé® Häagen Dazs Artisan Collection. 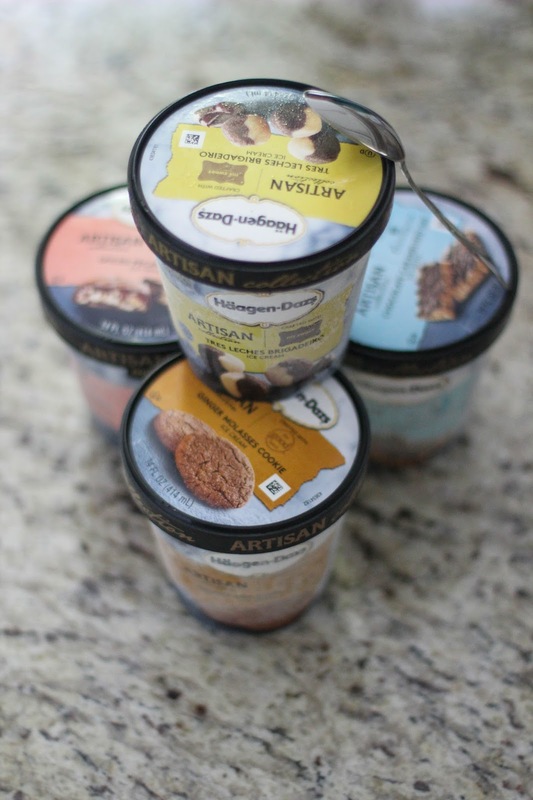 The Artisan Collection flavors are the best ice creams you can buy at a store. 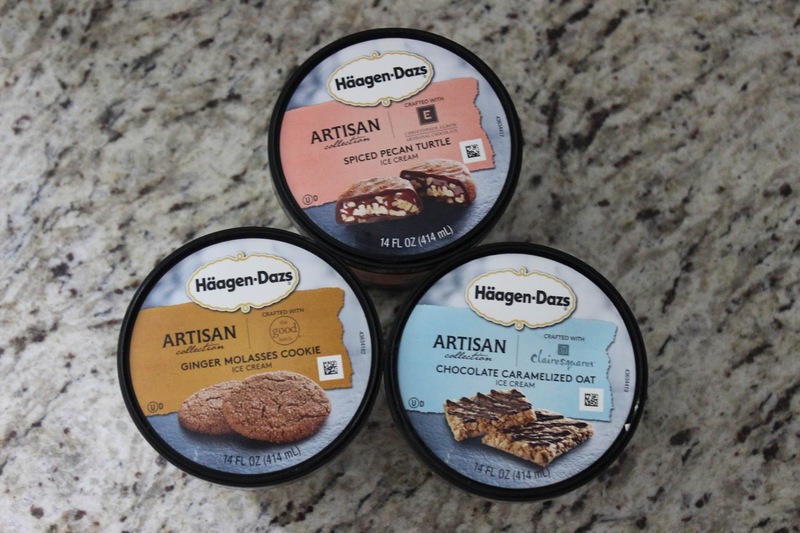 To develop these flavors Nestlé® Häagen Dazs collaborated with six unique artisans passionate about quality and using the finest ingredients. These flavors are: Tres Leches Brigadeiro, Chocolate Caramelized Oat, Banana Rum Jam, Ginger Molasses Cookie, and Spiced Pecan Turtle. My favorite flavors are Ginger Molasses Cookie, crafted with Anna Gordon of The Good Batch®, Chocolate Caramelized Oat, rafted with Claire Keane of Clairesquares®, and Tres Leches Brigadeiro, crafted with Paula Barbosa of My Sweet Brigadeiro™. My husband’s favorite is the Spiced Pecan Turtle, crafted with Christopher Elbos Artisanal chocolate™, because he loves spicy! Make sure you check out this amazing giveaway from Nestlé® Häagen Dazs – they are giving away over $450 worth of prizes with the grand prize being a White Kitchenaid Classic Stand Mixer! 2 runners up will win an artisan gift pack with all kinds of sweet treats in it! 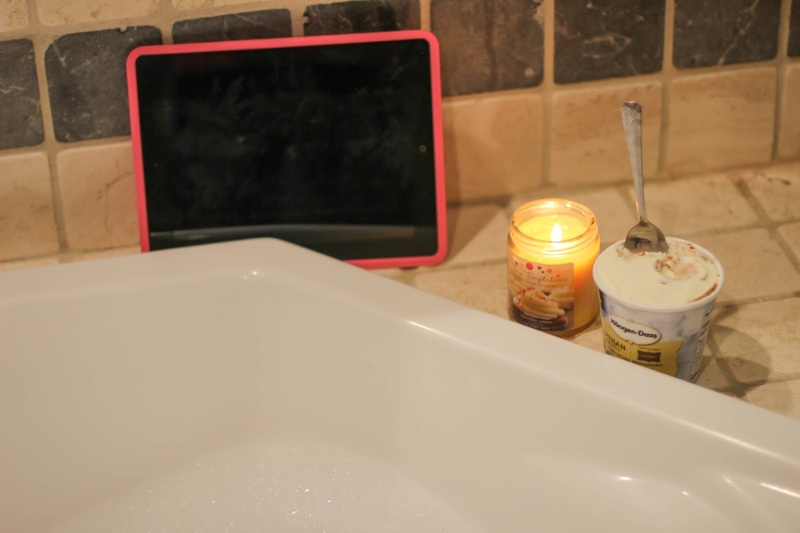 So when I need a chance to unwind I pull out Nestlé® Häagen Dazs Artisan Collection, sink into a bubble bath, light a candle, and turn a show on my iPad. Give it a shot – you’d be amazed what 30 minutes of serious relaxation and “me time” can do! When I don’t have time for even a bubble bath I bring some ice cream with us to the park and have a little “me time” while Maddie Grace plays in the dirt! 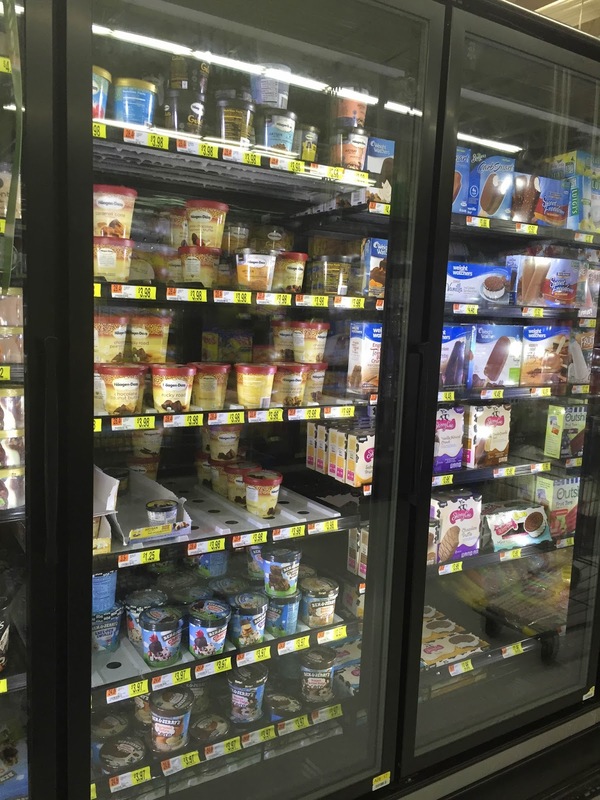 I purchase Nestlé® Häagen Dazs Artisan Collection at Walmart because they have the best selection of flavors. 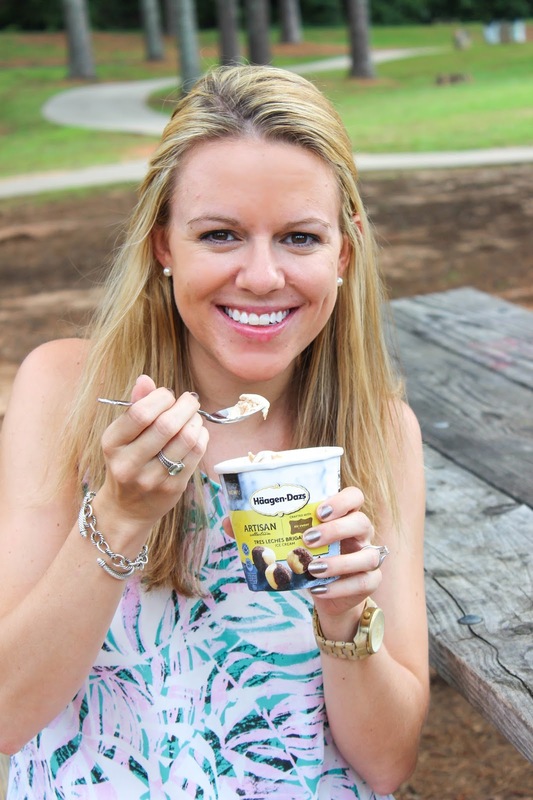 Make sure you follow Nestlé® Häagen Dazs on Twitter, Instagram and Facebook. 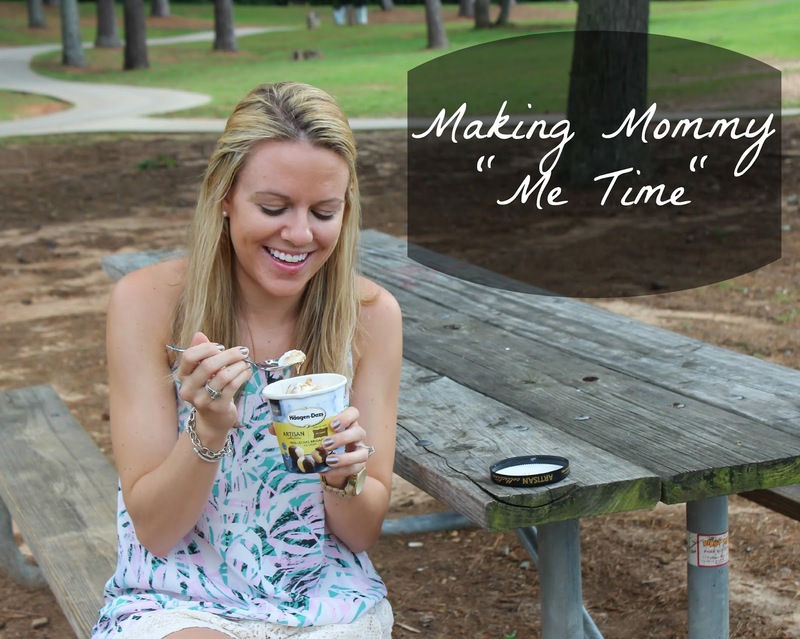 Now that you’ve seen how I make time for me with Häagen Dazs, what does your “me time” look like? YES I think pregnancy is a great time to start pampering yourself! That ginger molasses cookie one looks delightful. I'm not even a mom and relaxing that way sounds SO good. Go get it! So good!